Go Green, Save Green. Be environmentally friendly as you shop for fruits and veggies with Bring It Produce Bags! 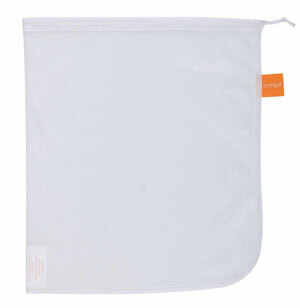 These reusable produce bags are great for toting your produce home from the supermarket or farmers' market. Just stash a few in your reusable shopping bags, and you'll be set. Use Bring It Produce Bags over and over for edibles and essentials - fruits, vegetables, snacks, tools, and toiletries. Set of 10 Large, Polyester, 12" x 14" Bags. For edibles as well as essentials. Fruits, vegetables, snacks, and toiletries. Never use another plastic bag when you shop. Sixty percent (60%) of this reusable bag comes from plastic bottles. Made of strong, lightweight, easy-to-see-through mesh polyester. Also great for storing accessories, travel items, shoes, and cosmetics.